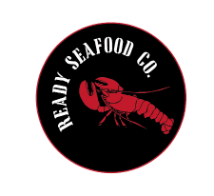 Live Lobster - Ready Seafood Co.
Ready Seafood is committed to providing our customers with the highest quality Maine and Canadian lobsters. All of our lobsters are harvested by independent lobstermen and women in the Gulf of Maine and Canadian Maritimes. At Ready Seafood, our two tank-one touch system ensures that each lobster is only handled once so that they arrive fresh with their tails flipping and claws snapping. We ship to all destinations worldwide. No order is too big or too small and we offer a wide variety of packaging options to meet our customers needs.